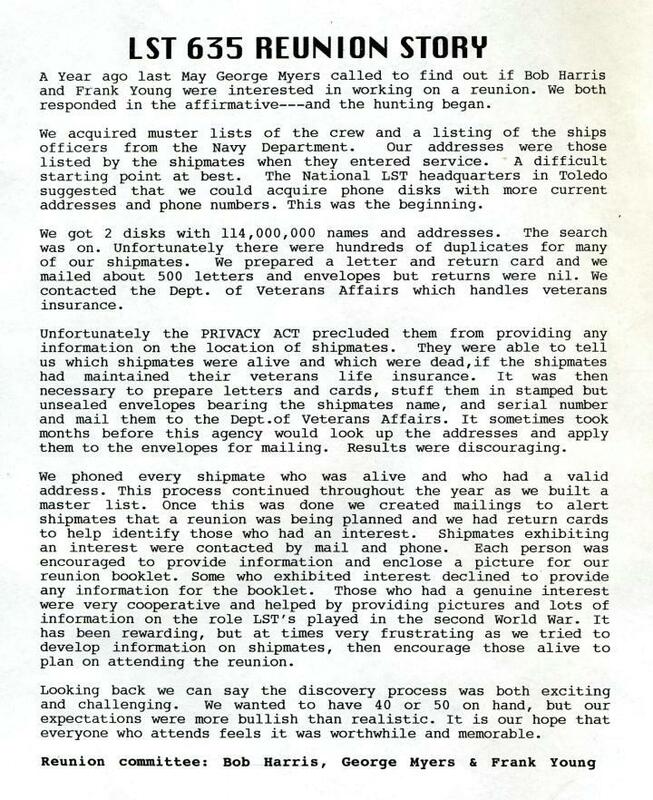 LST 635 Reunion Story A Year ago last May George Myers called to find out if Bob Harris and Frank Young were interested in working on a reunion. We both responded in the affirmative --- and the hunting began. Images of typed and hand-written pages need converting to text for website. If you can help, please contact us.